Three Poems in Unlikely Stories Mark V.
Three of my poems appeared in Unlikely Stories Mark V in June. 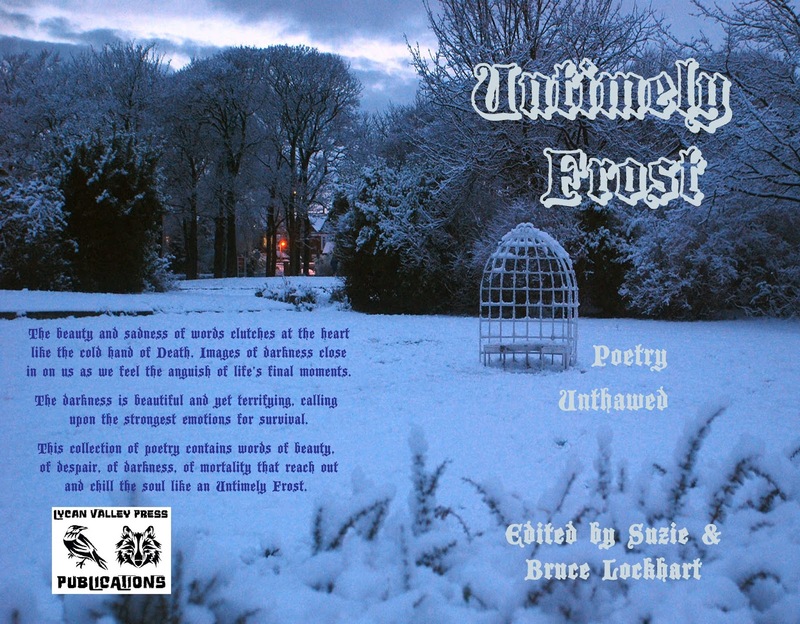 I have a poem in this new anthology from Lycan Valley Publications. I am pleased to announce that three of my poems should appear in the 20th anniversary issue of Unlikely Stories (to be posted in July). The word “family” these days is almost invariably preceded by “dysfunctional.” So it takes courage to write a novel about decent people who love each other. Rings, by Todd Fischer, is such a book. 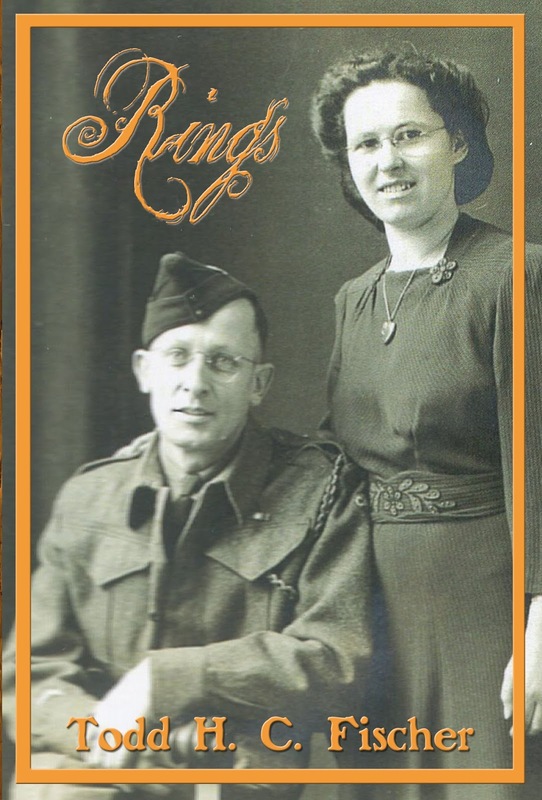 The overused “heartwarming” has to give way here to the more accurate “heartfelt.” Author Ben Desmond is bent on solving one of those small mysteries that loom large in family lore. In this case, he wants to find out why his grandfather gave his grandmother a gold watch instead of a gold wedding ring. On a deeper level, he wants to connect with his dead father and his all-but-estranged brother Eric. Solving the mystery sends Ben, his wife Beth and Eric on a journey through space and time to winkle clues out of graveyard inscriptions, old photographs, yellowing letters and the fragile reminiscences of aging witnesses. Though an Author’s Note reveals the story’s roots in reality, it would not be a Todd Fischer book without a generous helping of gothic: a ghost who appears caked in the dirt of his grave and a barrier between past and present that proves more permeable than a lace curtain. Written in the tradition of Ray Bradbury, Rings warms and chills its reader in equal measure, then gets them safely home. Purchase a copy now on Amazon (US) or Amazon (CDN). Available in print and Kindle editions. 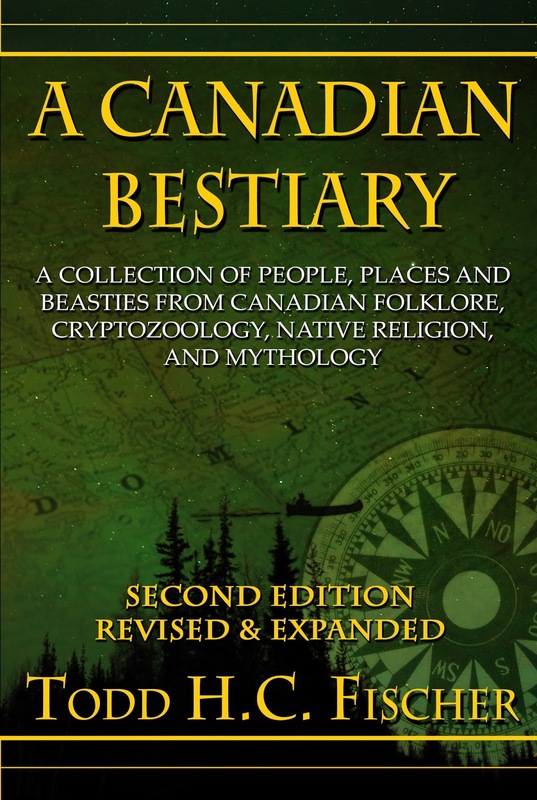 The second edition of my book "A Canadian Bestiary" is now available on Amazon. When it comes to folklore and mythology, what springs to mind are places like Greece, Romania, England and other European countries, with their stories and images of Gorgons and Cyclopes, Vampires, Dragons and Faeries... But what about Canada? For more than twenty years, amateur folklorist Todd H. C. Fischer has researched hundreds of creatures, monsters, strange locales, heroes and spirits from all across Canada. That research gave rise to the first edition of his Canadian Bestiary. Now he returns with this revised and expanded second edition, featuring dozens of new entries, an introduction by Canada’s “Mr. Mystery” John Robert Colombo, indices and over fifty photographs and illustrations. 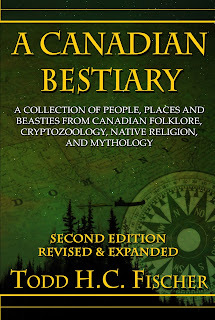 This comprehensive volume is a great springboard into the worlds of both folklore and cryptozoology and is a valuable addition to collections on either subject.